After our Final trip on Jammy, I began looking for the next member of our sailing family. I had already been looking prior to the final trip, but not seriously. 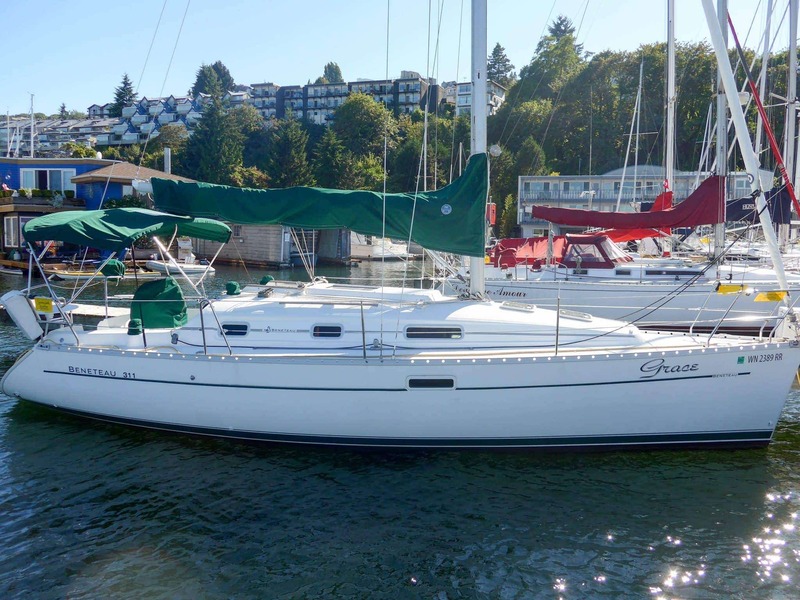 After only a few weeks, I stumbled across a beautiful 2000 Beneteau 311 named Grace, listed at Signature Yachts here in Seattle, only a few minutes away from home or work. I have always admired Beneteaus, and for years have wanted to own one, but always assumed they were out of my price range, or that there were things about them that I wouldn’t like. 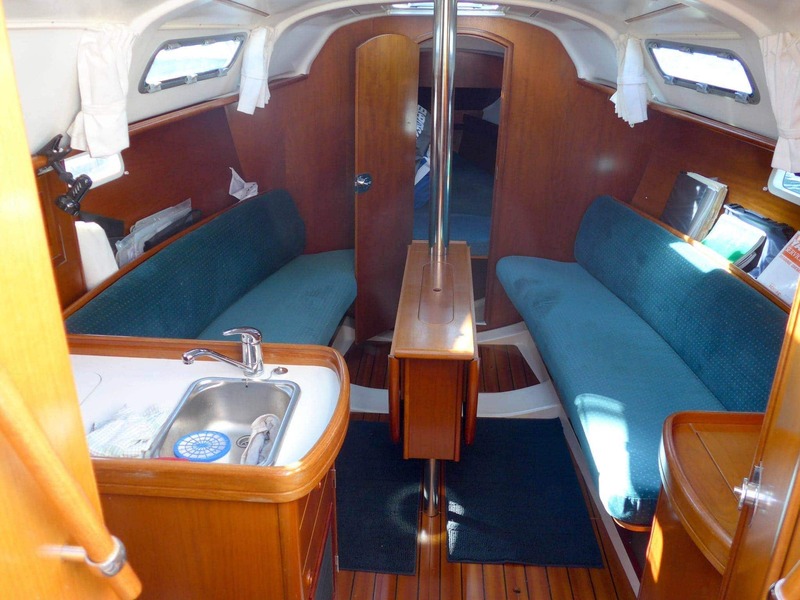 The last two years I had spent looking mostly at Benetau and Jenneau yachts, and had learned a lot about their sailing properties, interior room (spacious and tall!) and their build processes. I had fallen in love with the Beneteau’s in particular. I emailed the broker, and was able to see her the next day. I knew the moment I stepped aboard that this was my next boat. 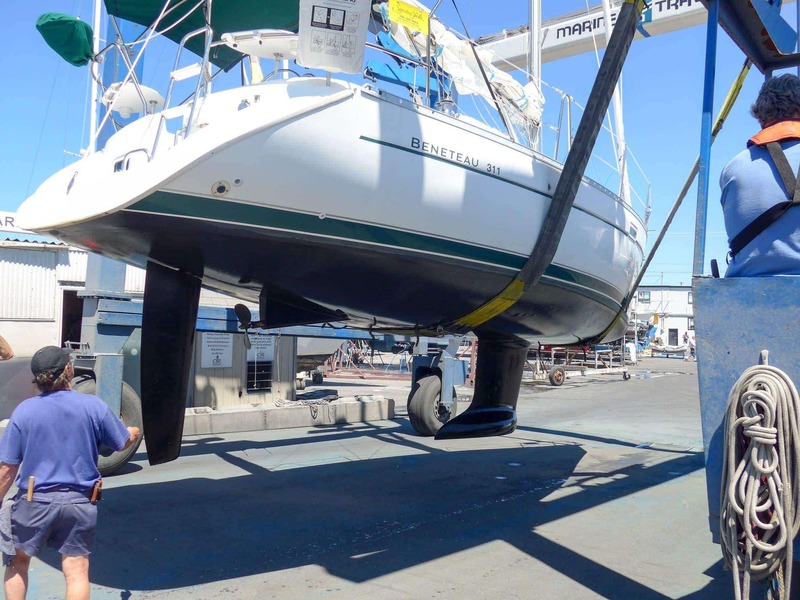 With Jammy it was the same way – I saw a ton of other sailboats, but the moment I stepped on her, I knew. 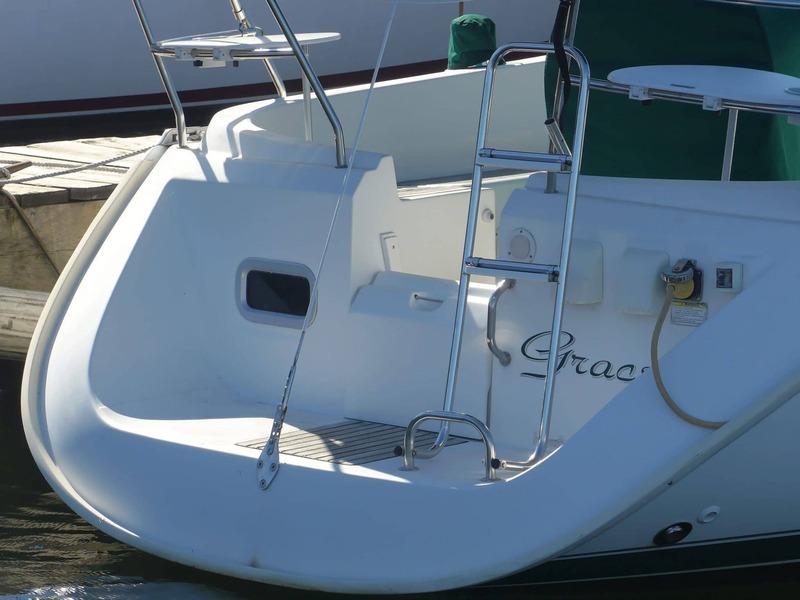 One of my favorite parts of Grace – the big wide transom and cockpit area. After poking through here twice with the patient broker, visiting a number of times, and talking with Josh about how we could make this happen on the money side, I put money down and sent over an offer to the owners. They immediately responded with an acceptance, and we were onto the next step of a test sail. John Sanford of Sanford Marine Surveys was my surveyor. I had previously had McEwen and Associates survey Jammy, but the original owner had retired, and John being one of the surveyors employed there, struck out on his own. John was great during the survey, and let me ask tons of questions and get my head into every nook and cranny that he looked in. Only a tiny list of items were found, mostly things I expected, and all easily repairable by me. 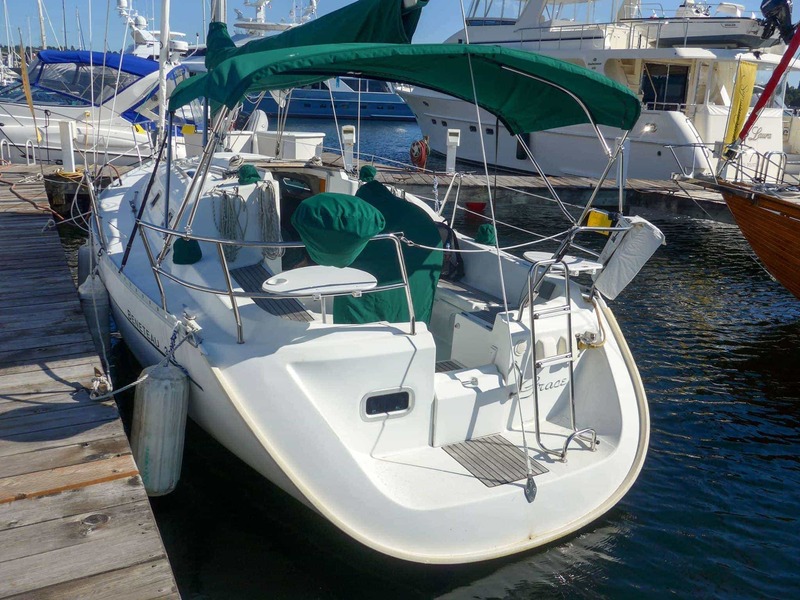 Our test sail itself was exhilarating on Lake Union on a late afternoon in the summer – the winds were steady at 15 kts gusting to 25, and we had all of the sails out scooting along at over 8 knots! The haul out was similarly boring, with only a zinc needing to be replaced. After a successful survey, and the usual bits and pieces with the title company, in mid July, Grace was ours! I’m so excited to start this new chapter of our sailing lives, and enjoy a bigger boat with more amenities and space for more guests and fun alike! Lots more photos at my SmugMug gallery.